Confederate Soldier In Famous Portrait Is Identified : The Two-Way The portrait appeared in the Ken Burns Civil War series and a chance encounter put a name to the face. Stephen Pollard of Carroll County, Ga., who fought and survived the Civil War. The Washington Post brings us an interesting story about a portait that was donated to the Library of Congress. As far as portraits from the Civil War go, this one is quite famous. 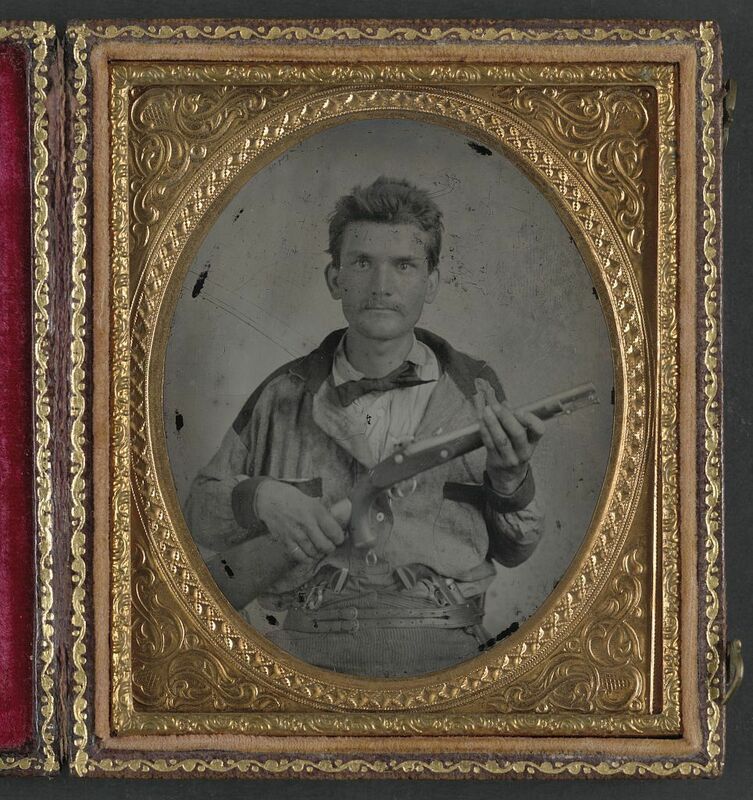 It shows a confederate soldier looking a bit disheveled and very serious while holding an 1855 Springfield single-shot pistol carbine. The portrait appeared in the Ken Burns series about the Civil War. When the Liljenquist family donated the portrait to the Library of Congress, however, it was catalogued as a picture of an "unidentified soldier in Confederate uniform." The picture was recognized by Pollard's great-great-granddaughter. According to the Post, she called Tom Liljenquist, who originally bought the portrait, and told him she could identify one of the people in his collection. "I think he was more shocked than I was," she told the paper. Indeed, this wasn't a great mystery. The Georgia Sharp Shooters, a reenactment group, has a list of their ancestors on their website. Pollard is one of them. The picture is included with a biography. According to the site, Pollard was born on August 19, 1829. He was married at age 20 and by his early 30s, he was enlisted. He survived the war and died in October of 1899.